Mass balance measurements, surface velocities, cross-section profiles and continuous topography of McCall Glacier were made using real-time kinematic (RTK) surveys. The mass balance profiles were first measured in the 1990s with an airborne laser survey. These same points were re-occupied to determine vertical changes. The original network of velocity stakes was installed in 2003 and since then has been measured twice year. Five Trimble 5700/R7 receivers were left for the summer to capture temporal velocity variations. One of these receivers will be left over winter to determine late season variations. 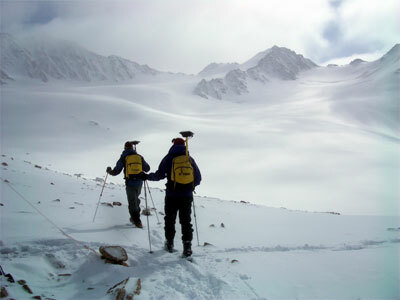 Figure 1 - Two skiers, equipped with RTK GPS equipment, traverse McCall glacier. 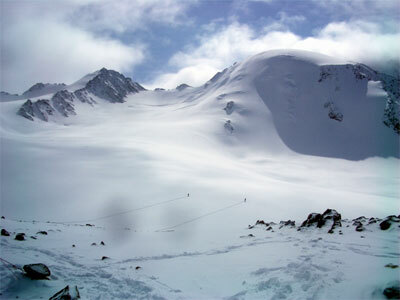 Figure 2 - The same skiers, equipped with RTK GPS equipment, set out to traverse McCall glacier.